Attention to all Saddle Lake Post Secondary Students, if you are a continuing student and have not filled out your Spring application, please do so by MARCH 15TH. Once you have filled out your application you can submit to our office as soon as possible. Attention all Saddle Lake Cree Nation Post Secondary Students! Are you planning on continuing into the Spring/Summer term? If you are or your program continues into the intersession term, then you will need to fill out our Saddle Lake Post Secondary Sponsorship Application Form before March 15th. Also, as a reminder to all SLPS students, you should have already submitted your Fall 2017 statement of marks, if you have not, please do this today to avoid any delays in your PSA. Thank you to all those students who have submitted all their documents and we look forward to assisting you as you move forward into the intersession or fall term. Are you looking for an exciting and unique work experience opportunity this summer that would involve travel and working directly with First Nations? Well here is an opportunity for you! The Department of Indigenous Services Canada (DISC) has a number of opportunities for work as a Treaty Annuity Payment student this summer. please click on the Government of Canada website. Dallas Cardinal is one of our Saddle Lake Post Secondary Students, who is currently working on her Bachelor of Arts Degree at Concordia University in Edmonton. The Scholarship that Dallas received on January 19, 2017, was the ATCO Indigenous Education Award based on her commitment to her education, leadership skills and role model qualities that can be recognized in the community. Good Job Dallas, you make Saddle Lake Cree Nation Proud. When is the Next Indspire Application Deadline? Yes, the next Indspire Application Deadline Date is just around the corner. If you have not done so already, you better get busy and fill out your application today. 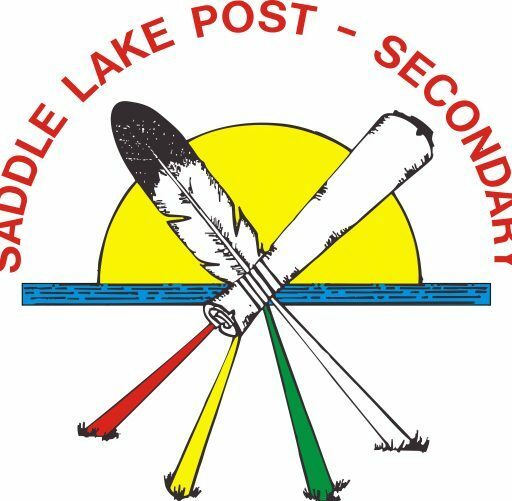 The next Indspire deadline is fast approaching and the Saddle Lake Post Secondary Staff highly recommend that all our Post Secondary Students apply online today. Indspire offers many scholarships and bursaries and you can also check the institution that you are attending, it’s FREE MONEY! For more accurate and up to date information, please visit the INDSPIRE website. You will find all the information about what scholarships and bursaries are available, Application Guidelines, Guide for Students, Program Policies and much more. From the Saddle Lake Post Secondary Staff: Bernadine, Betty Ann and Pamela. Mount Royal University’s 3rd yr Bachelor of Nursing Students receiving a warm welcome as they arrive in Hawaii. Samantha Cardinal is standing in the back row in the middle. We wanted to take this opportunity to share Samantha Cardinal’s experience with everyone. Samantha is from the Saddle Lake Cree Nation, Treaty Six Territory and is the daughter of Sam and Earlene Cardinal. She is in the Bachelor of Nursing Program at Mount Royal University in Calgary, Alberta. Samantha was accepted to take her 3year clinical practicum in Hawaii as part of the 4 week long international placement called the Global Indigenous Child Health Field School course (NURS3124). This practicum is part of MRU’s School of Nursing program that offers experiential learning to connect local and global indigenous children’s health. Students are learning how indigenous ways of being and knowing inform their role to promote child health under the guidance of Elder Francine Dudoit, Director, Traditional Hawaiian Healing at the Waikiki Health Centre. Samantha started her practicum on November 19th and she will return back to Calgary on December 19, 2015. To see more of her adventure and her group practicum, you can go to the following link – HAWAII FIELD SCHOOL: OHANA GROUP C.
On behalf of Saddle Lake Post Secondary, your Nation is very proud of you and wish you all the best. Can’t wait to see more picture and hope to see you soon. On behalf of the Saddle Lake Post Secondary Program I would like to introduce one of our 2014 Graduates, Quinn Healy. I reached out to Quinn and asked her if she would be interested in submitting a paper to highlight her recent educational successes. Quinn has graciously accepted and has submitted the following. I do encourage our Saddle Lake Post Secondary Graduates to do the same, as it gives others who are thinking about continuing their education, that extra support. Give me a call and let me know, if you are interested in being showcased on our blog. Hi there! My name is Quinn Healy and over the past 8 years, on and off, I have had the privilege of being sponsored by Saddle Lake Post-Secondary to complete my dreams of becoming a teacher. This was a long process for me but through the support of the Saddle Lake Post Secondary Program, I was able to explore my dreams and passions to find the areas in which I excelled. I always knew I wanted to teach, to me it was a calling, a vocation, not just a job. I firmly believe that through education children are empowered to become their best selves. I am proud to be an educator who can help facilitate this belief in children, while teaching them valuable lessons about the world through the mandated curriculum. I am also a proud Aboriginal Educator. The district I teach in encourages that we teach from a First Nations perspective. Many of my colleagues didn’t understand what that means or how to go about doing so. I am no expert, yet, but I really pride myself on connecting my Aboriginal beliefs and knowledge in the classroom and helping children understand a different point of view, in connection with the mainstream teachings. Through this passion, I have been able to see not only my students feel connected to material in ways they may have not before, but I have seen my colleagues begin to think and process information differently in terms of their teaching and their own worldviews! Thanks to the belief I had in myself, the support of SLPS and the support of those around me, my dreams became a reality. This journey was not always easy. My first degree in history came with many, many hours of reading, research and papers and the struggle at the time was very REAL! However, when I pushed deep within myself and knew this journey was a marathon, I gained the confidence and pride to know not only could I attain my dreams, but I was worth becoming what I knew I could be. For anyone thinking of beginning their journey of post-secondary education, I encourage you to start. Jut start. Start believing you’re worth it, that you can do it and eventually, like me, you’ll look back and you won’t believe it at times, but you will be exactly who and what you dreamed you could be!